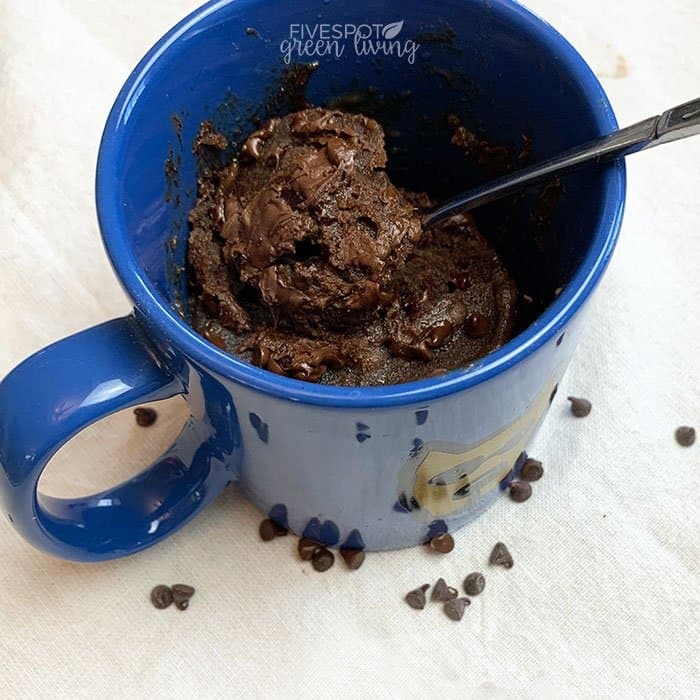 Sometimes you need a fun treat that doesn’t involve an entire cake in the oven – this 5 Minute Chocolate Cake in a Mug hits the spot! I love chocolate cake. I mean, like it’s the best thing ever. When I was pregnant, it’s all I wanted to eat. I think at one time I even ate an entire cake myself in a day. 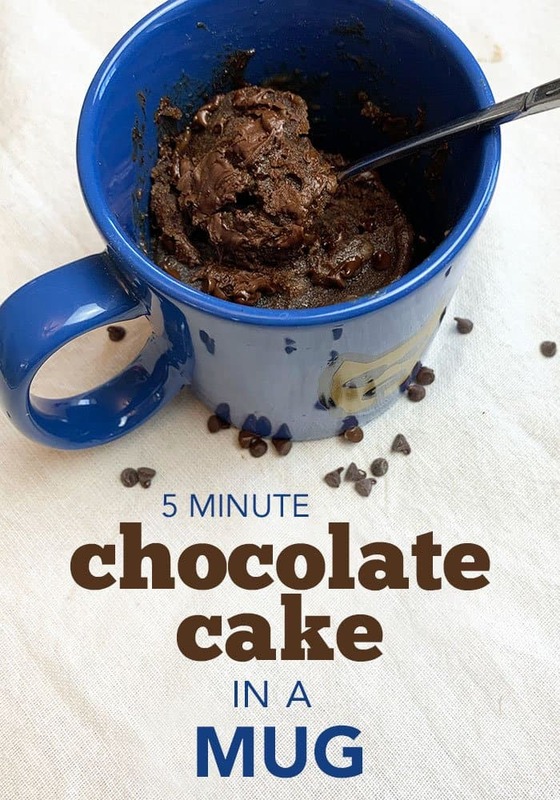 So making a personal sized chocolate cake in a mug in literally 5 minutes is seriously the best thing I’ve ever heard of. My girls love making cookies and cakes in the microwave! Although I don’t encourage microwave use in our house, it’s still there and I want to encourage my kids to be independent and creative. 2 tablespoons whisked egg – 1 egg is too much, 1 egg white is too eggy, 1 yolk is too dense, but 2 tblsp is just right! For a fudgier version, omit egg! 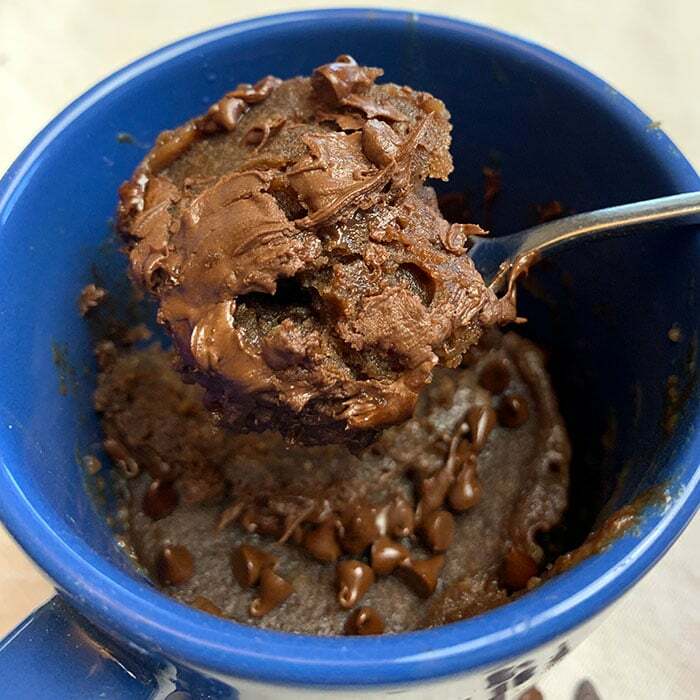 Add chocolate chips* and splash of vanilla. Stir well. It will start to crown over the top of the mug. This looks so good!! Thank you so much for sharing.